The seasons are changing fostering new growth drenched in green, and the temperatures are beginning to climb in Houston. With the warmer weather it’s about that time of year when the HVAC system switches primarily to cooling your home, and although you cannot control the environment outside, there are measures you can take to ensure a comfortable environment indoors. 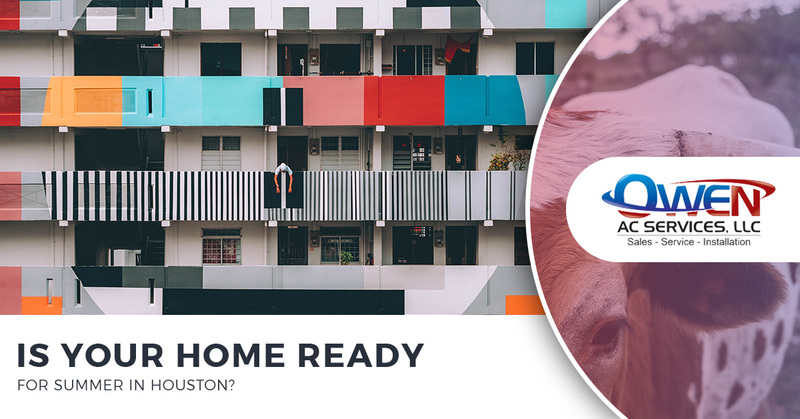 In today’s post, we’ll look at things you can do to make your home ready for a Houston summer. At Own AC Services, we are ready for the summer temperatures and what they bring! We want all of our customers to be comfy and cool all summer long, so we’re anticipating your call whether you need AC maintenance or a new AC installation! Follow along and learn tips on how to prepare your home this summer. Houston is not always known for its temperate summers, as they can climb well into triple digits and see severe weather — which makes it all the more unpredictable. To keep your Houston home cool this summer there are ways to prepare right now. Knowing where opportunities lie in your home’s energy consumption is extremely important not only for cooling your home, but it can save money on your monthly bills. The first thing you’ll want to investigate is what is needed for maximum energy efficiency. As a homeowner, you know your home the best, but you can always hire a professional to conduct a home energy audit. The biggest energy opportunity is generally in the windows. Old, outdated windows are notorious for letting the cool air seep out. If you’re in a place where you can replace the windows, that will save greatly down the road. Even if you do it slowly, a window in the living area this spring and a bedroom window in the fall. Adding insulation may also be an option if you’re in an older home or if your home needs a little extra TLC. The more your walls, floors, and ceilings are insulated the less likely the cool air will escape and float outdoors! When you add insulation the materials need to be opened, so doing this in warmer months is more ideal. Another great, albeit odd, energy efficient thing you can do is paint your roof white. A white roof might not be in your aesthetic stylings, but Steven Chu, the former Secretary of Energy, proposed that if every household were to paint its roof white, it would be like removing 11 years worth of car pollution off the planet. In terms of what it means for your home, energy costs would dramatically drop because white reflects light and heat back into the atmosphere and away from your home! Is AC on the docket? Most home’s in Houston are equipped with various kinds of AC units, so the biggest question is, do you need a new AC installation or perhaps AC maintenance? 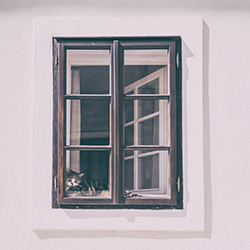 There are always opinions on what type of AC unit to get — a window unit provides your home flexibility in where you can cool your home, but they’re not the most energy efficient or aesthetically pleasing. Central AC is the most popular choice, however, you will need routine maintenance and repair to keep it running optimally. An HVAC system includes central AC and it is the best way to cool your home in the summer heat. It provides a balanced and temperate environment throughout the whole house and runs completely silent. If your home has energy efficient windows, the AC stays indoors and is very energy efficient. Have you thought about nature’s air conditioning? AC indoors is just about the only measure you can take to control the temperature inside, but there are things known as passive outdoor design that can help cool your home in the summer. Trees are a wonderful way to add shade to both your yard and home as it helps block some of the sun from beating down and heating your home — it shields your home from the sun’s rays. Adding overhangs and outcroppings from the windows can also take some of the sun’s energy and help keep things cool. Summers in Houston can be brutal so preparing your home now by taking energy efficient measures, figuring in AC maintenance or an installation, and implementing outdoor passive design strategies can prepare your home for the heat that is about to come! For AC maintenance or new AC installation, Owen AC Services is the premier HVAC service provider in Houston. We want to ensure a summer filled with a relaxing environment that you and your family can unwind in, and that only comes with a properly functioning air conditioning system. Seek refuge indoors with the coolest air around and call us today! To save even more money this summer, ask about our VIP maintenance program.